I am so excited to be working with a local Portland, Oregon brand! I am partnering with Kelly from Kelly’s Jelly, made right here in our area to develop recipes using her unique jams using PNW berries. Kelly is a spicy genius that has mastered the use of the habanero chile in sweet jams. She also makes seasonal jams that are perfectly sweet, which I love because they are not overly sweet. When I first met Kelly, it was years ago at the Feast Portland Festival, and her jam appetizer was one of my favorite bites I had from the local food makes all weekend long. Clearly there are traditional ways to use her products like with cream cheese and crackers, dips and such. But when we spoke I was inspired to create unique and approachable ways to introduce this jam to people. 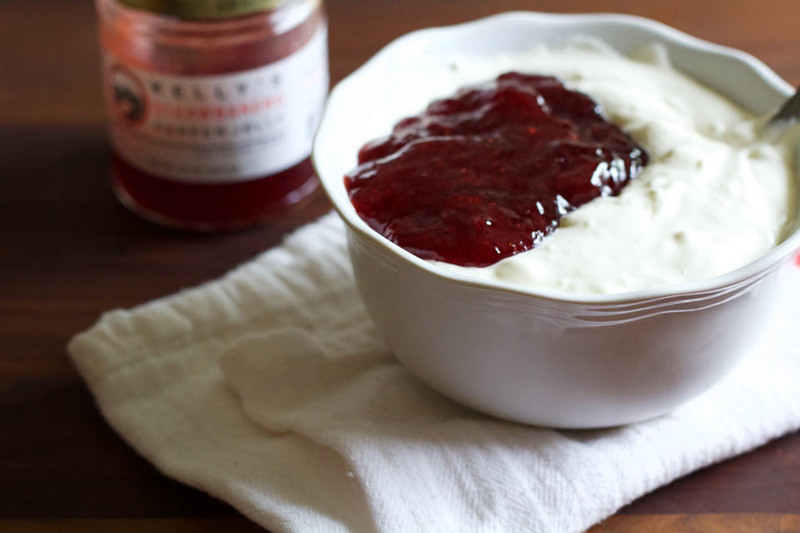 Kelly’s jam pairs perfectly with sweet and savory foods. 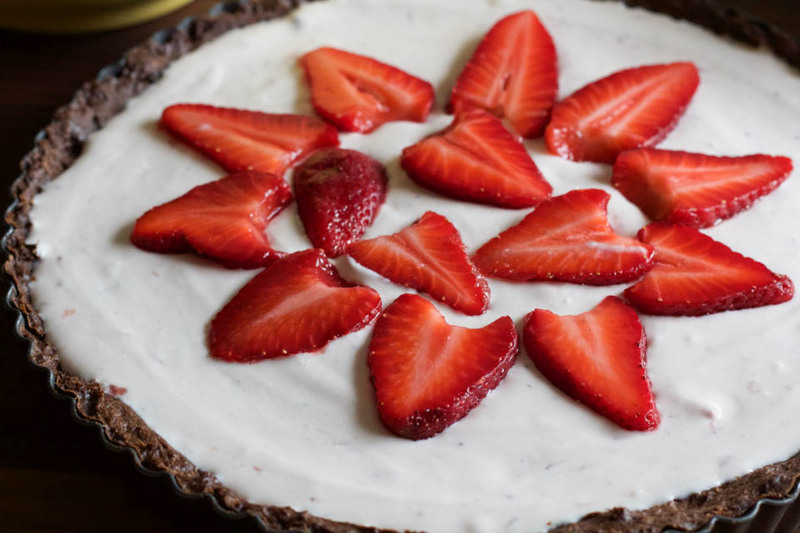 I began recipe developing a dessert for Easter brunch, and this tart came about. It is perfectly, subtly sweet and spicy. The hint of spice hits you at first, and because of Kelly’s mastery of the habanero, it fades away in the most pleasant way. Paired with mascarpone, fresh macerated strawberries, and chocolate, it was hard not to make two of these and eat them all. The bowl of the Strawbenero jam with mascarpone required the most amount of self control, and I totally had a couple of spoonfuls. It was addicting. Kelly has a great website where you can have custom food gifts sent family, friends, and great business gifts. Plus have jam delivered right to your door step. She is awesome, and I am happy to be working together to bring you more awesomeness! 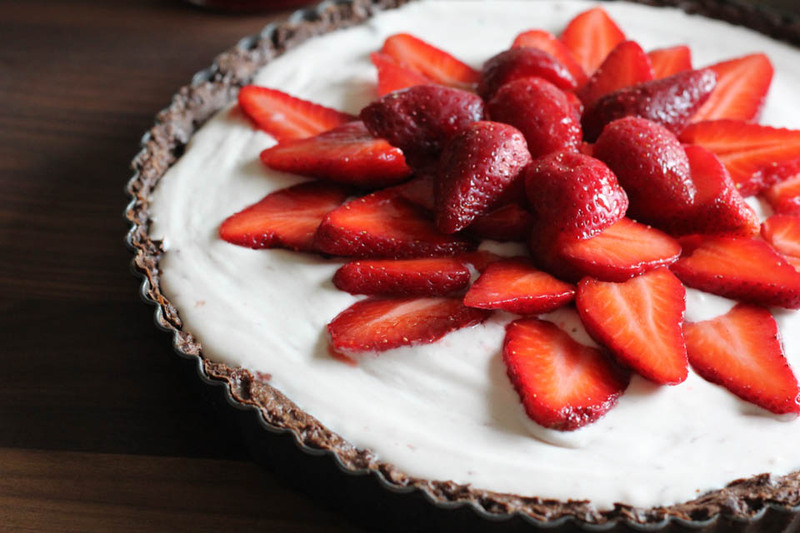 This Strawberry Mascarpone Tart is a great reason to stop on by her site to grab a jar! 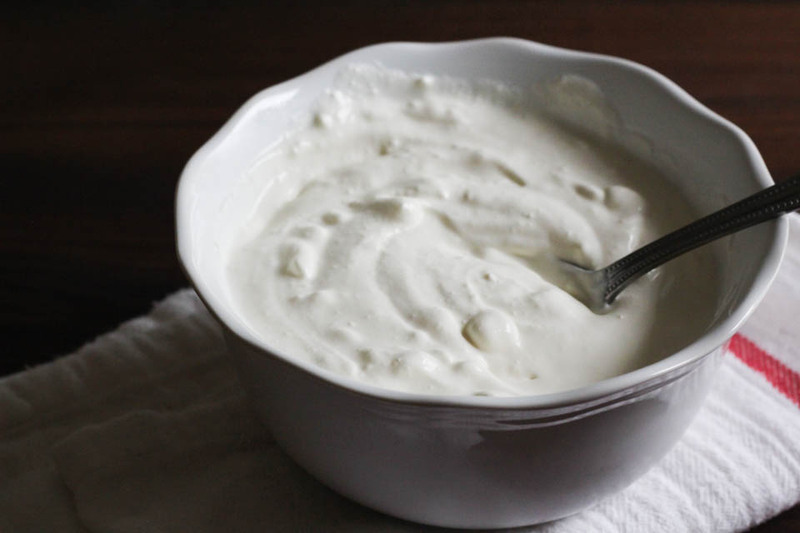 Note: I made mascarpone from scratch using this recipe. You can make it from scratch or buy it at the store. Either way, it is good. 1. In a food processor, or stand mixer fitted with paddle attachment, add all ingredients for the crust. Mix together on medium speed until uniform, about 2 minutes. Remove and make a ball, place in plastic wrap. Place in fridge to rest for a minimum of 3 hours, and up to 3 days. Place in freezer for later use. note: I double the batch and keep one ball in the freezer for later use. 2. While dough is resting, work on filling. Place mascarpone in stand mixer fitted with whisk attachment. Whisk on medium low for 2-3 minutes, or until stiff peaks. Fold in jam using a spatula. If too runny, whisk on medium low for 2 minutes, until stiffens. Place in fridge. 3. Work on berry topping. Place sugar, lemon juice, and salt in a medium bowl, mix to combine. Add berries, mix to combine. Place in fridge to macerate for 30 minutes minimum, up to a few hours. Place oven rack in center of oven, and preheat to 400 degrees. Spray tart pan with non-stick spray. 1. Remove dough from fridge, place between two pieces of parchment paper. Use rolling pin and roll out to 1/4-1/2 inch thick, about 10 inches wide. 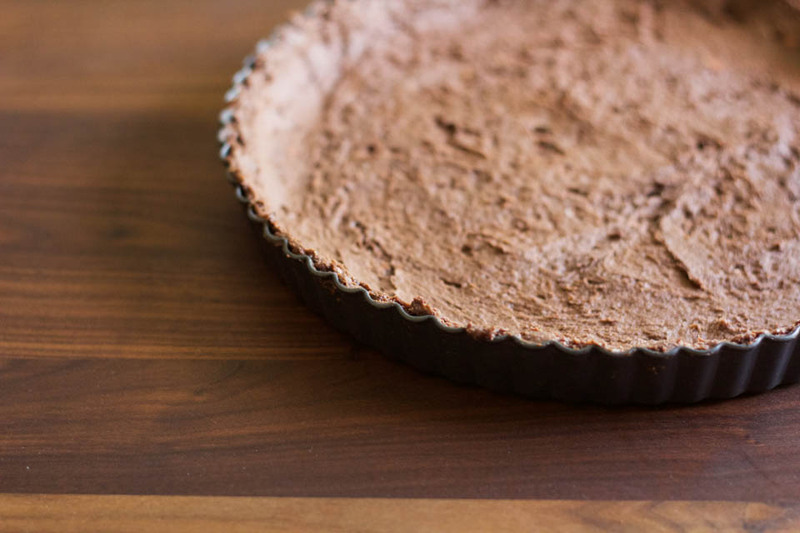 Remove top parchment paper, and turn dough over onto the tart pan. Using your finger, gently press dough onto sides, and bottom. Use a fork to poke/dock the bottom of the tart dough. 2. Place in oven and bake for 20 minutes. Remove and allow to cool before filling with mascarpone. You can place in the fridge to cool quicker. 1. 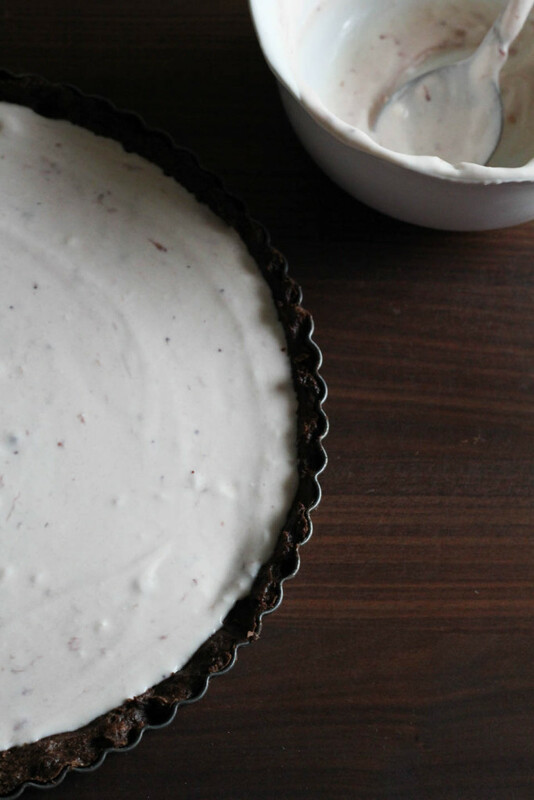 Fill tart crust with mascarpone filling using a spatula to spread evenly. Top with macerated berries. Place and keep in fridge until right before serving. Serve cold with a spoonful of berries. This is totally my kind of dessert! Sounds like an amazing jelly. I’ll have to come home with a jar when I visit Portland. Will I see you at the Indulge Conference? It is a great company, and they are all over town! I hope to be able to make it. I was going to go until a family visit came up, we are still working on changing the dates, but nothing concrete yet. I’d be gone most of Saturday, but maybe would be able to visit Friday night or go on a Sunday excursion. I hope to see you! I love that you folded the jam into the mascarpone! By the way, it’s beautiful! I dunno which component of this recipe attracts me more…all of them ROCK, as does the final product! Thank you so much, Dorothy! It was a light bulb recipe development moment that worked well :). Lol!!! That is awesome, I think he’d like this brand. It’s local berries, and never too sweet, which is a plus for my jam taste :). What a spectacular tart! 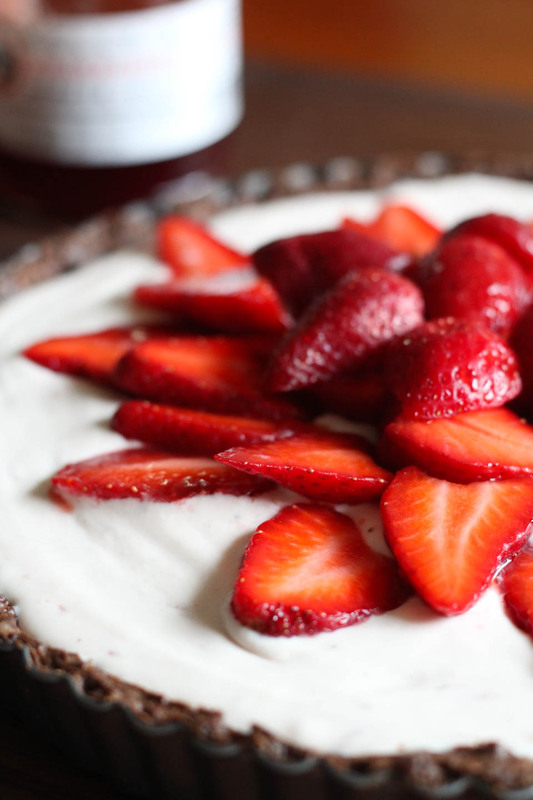 Perfect spring dessert! This is gorgeous. I’ll have to check out the jams- I’m a preserve fanatic- and always on the lookout for a new to me jam. That crust looks divine! Thank you, Kelley! I am too, I love making and buying small batch jams. Kelly’s Jelly is incredible, and the owner is awesome. Thank you, Amanda! I love working with locals, it really is great. This looks divine! Can I have a slice, please?